Welcome. We will be helping you attain a new home insurance in Florida policy. We are independent agents and offer 37 different Florida home insurance companies to give you the most choice. The only thing you have to do is give us some very basic information about the property you want quoted in the form supplied below. This website is secure and encrypted. Please be sure to enter an accurate email address so we can send you proposals for home insurance in Florida. To get a quote now, hit the green button at the bottom of the form. We take care of the entire application process for you over the phone and you will be sent all the insurance documents to your email. To read more information about insurance agents, this page will inform you about the different types of agents in Florida. We are the type you want, independent. We don't work for any one of the Florida home insurance companies in particular. We work for you to get you the best home insurance in Florida in the market and shop these companies for you each year to keep your rate down. If your premium is paid by your lender, we send the documents to them so that payment can be made by your lender. Please have your mortgagee clause ready before we apply so it can be put on the application. Feel free to go a head and start the process now to get your quotes and we'll make any necessary policy adjustments after the quoting system determines the A rated company we should insure with. Home insurance in Florida is incredibly important for anyone who currently owns a home or is considering purchasing a home. The majority of our lives are contained in the places where we live: furniture, memories, important personal documents, clothing, and much more. Since we trust those vital pieces of your life to the Florida home insurance companies, it only makes sense to find the best agent possible. It is also important to choose someone with which you are comfortable and who is willing to work with you and answer any questions you may have. We are. Your RTC Insurance Advisors insurance agent calls you on the phone in some of the most difficult times of your life. We want to earn your confidence and be there for you if the need arises. Also, keep in mind that some agents represent more than one company, like RTC Insurance Advisors agents. Our agents are sometimes referred to as Florida insurance brokers. Check to make sure the agent you choose is licensed. We all are here. Just call the Consumer Helpline, toll-free, at 1-800-342-2762. You can also verify an agent at the website www.MyFloridaCFO.com by clicking on the “Verify Before You Buy” button on the licensing information page. 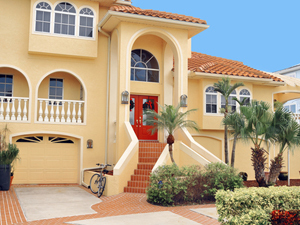 Selecting a home insurance in Florida company is equally important. Make sure a company is licensed to sell insurance first and foremost. We only supply licensed companies. In Florida you can call the DFS Consumer Helpline toll-free at 1-877-693-5236. Have the company’s full name ready when you call. Also, visit www.MyFloridaCFO.com. You can find more information about licensing practices and the requirements to sell home insurance in Florida there. The insurance world can be confusing and overwhelming, but you can navigate with confidence with a little research. One thing that can help you select the right insurance company is to look at their rating. There are a number of different organizations that track insurance ratings on the internet. The A. M. Best Company, Standard and Poor’s, Demotech, and Moody’s Investors Service offer rating services for insurance companies. They rate based on financial information, management, history, and assets. A company with a solid rating is a good risk for you. The major storms of the past few years have caused some significant problems for Florida residents in need of homeowners insurance. Many faced significant rate increases or were dropped after filing claims. There is help available for Florida homeowners who are having difficulty finding coverage. The Florida Market Assistance Plan supplies names and numbers for agents or Florida home insurance companies that are accepting new business or high risk properties. There is no need to contact the Florida market assistance plan, because we have 37 carriers and can place your home insurance in Florida. This is written for your general knowledge. We at RTC Insurance Advisors want our clients informed about the entire market. Don't forget to get your quote.